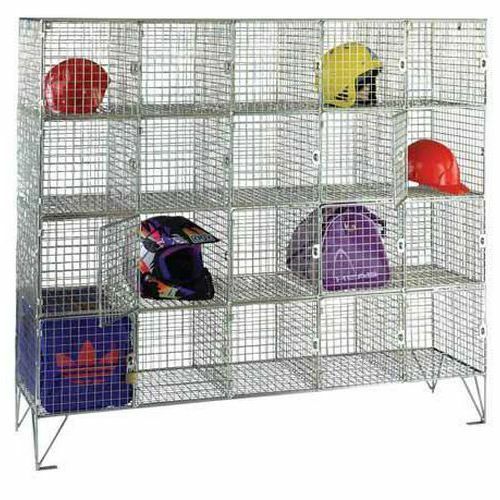 20 compartment, wire mesh unit. Ideal unit for storing PPE, bags or equipment. Secured behind 20 individual doors. With 150mm integral legs ideal for securely fixing to the floor. Welded mesh on 8mm round bar frame. 20 door unit is complete with protective zinc coating. PLEASE NOTE: Hasp lock requires 40mm Padlock, please see the Accessory tab for our recommended items.